Good day, I am Clif Graves. Clif Graves Consulting and Hinterlands Press are located in Winthrop, Maine. Winthrop is a small town in lakes region of central Maine. 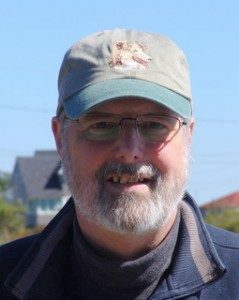 For over 20 years I have been involved with computers, software, and managing data and databases. My work has been with individuals, small businesses, and organizations from government agencies to small non-profit organizations. In 2016 My Wife and I launched Hinterlands Press. This is a small independent publisher focusing on Science Fiction and Fantasy Novels. I am the primary page layout designer. I use Scribus and Gimp for page layout and graphic design work. I have managed and developed WordPress based web sites since 2005. It all started while I was co-publisher for the magazine WolfMoon Journal. At the time WolfMoon had a hand coded website which was a lot of work to update. After trying out a number of content management systems, I realized the blogging software WordPress was a useful tool for a lot more than blogging. The WolfMoon Journal site used a highly customized version of WordPress. I studied art at University of Maine at Orono and Goddard Collage Plainfield Vermont. My art studies were in art history, painting, and photography. As co-founder, publisher, and graphic designer of Wolf Moon Journal I was actively doing photography, page layout and graphic design almost daily. In 2005 I moved from film to digital photography and have never looked back. As the database administrator for the Maine HMIS system. I was responsible for planning, installation, development, delivery and reporting operations for the MaineHousing’s Consolidated Homeless Information Resource Management System. I have been a FileMaker developer since 1999. I have worked on FileMaker based projects from ebase, to Data Management for a film distribution company, to support software for political campaigns. In 2005 Development started on NorthStarDb. NorthStarDb is a contact manager, activist, and fund raising database for small and larger non-profits. NorthStarDb was built using FileMaker. The last version was designed for FileMaker 12. Active development of NorthStarDb ended in 2015. In 1999 I first became involved with ebase. From 2000 to 2005 was the lead programmer for ebase 1.03 and for the ebase 2 series. I have presented at numerous national conferences, taught at all levels from adult education to college level. I am a trained Total Quality Trainer and bring that perspective to my trainings. It is not just about the software. It is about how you use it to support your over all goals. As an IT manager for a mid-sized nonprofit, I maintained and updated software and hardware, installed new networking equipment, even the phone system. Once you have done that for a few years you have seen and done it all.